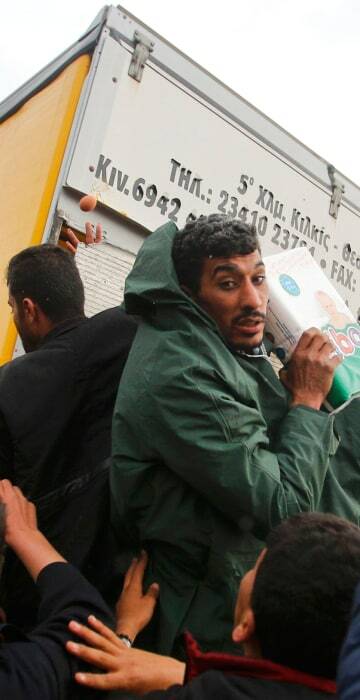 Migrants stranded at the Greek-Macedonian border scrambled to feed themselves and keep warm as the Balkan route is shutting down. Migrants who are waiting to cross the Greek-Macedonian border scuffle to get firewood near the village of Idomeni, Greece on March 6, 2016. Macedonia closed its borders to all migrants and refugees this week — joining several Balkan countries in adding border restrictions. 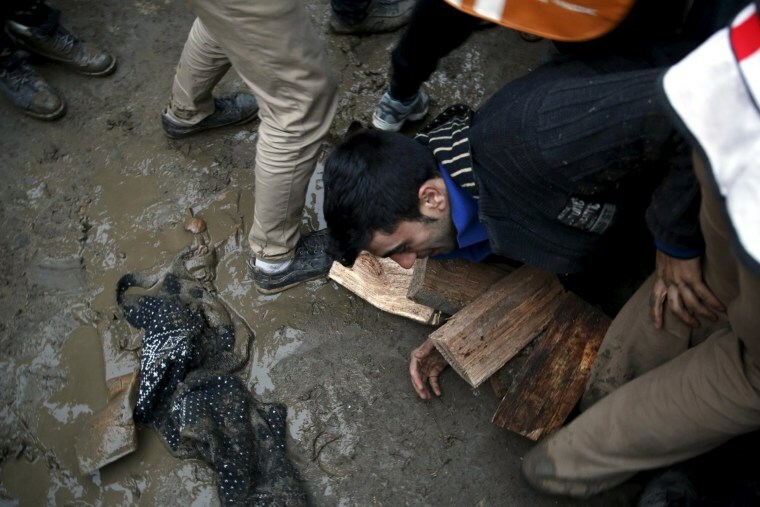 A migrant falls down when he's trying to get firewood, near the village of Idomeni, Greece on March 6, 2016. 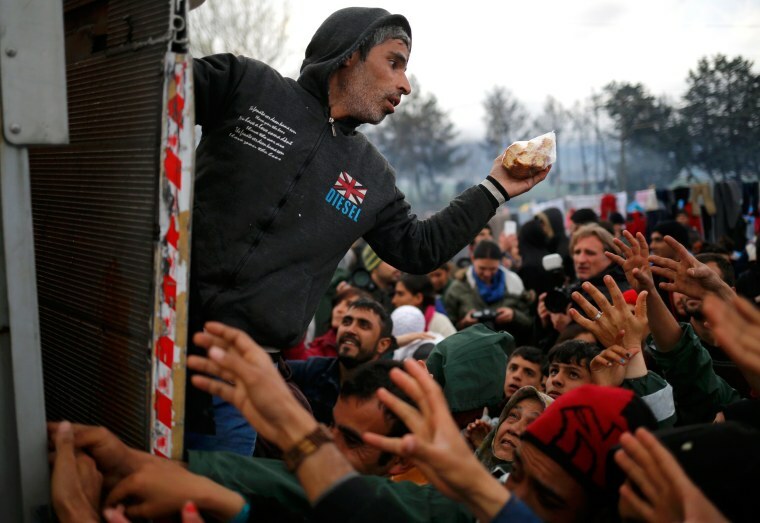 A man holds a bag package of bread among migrants who are reaching out for food from a truck, at a makeshift camp on the Greek-Macedonian border near Idomeni, Greece on March 10, 2016. 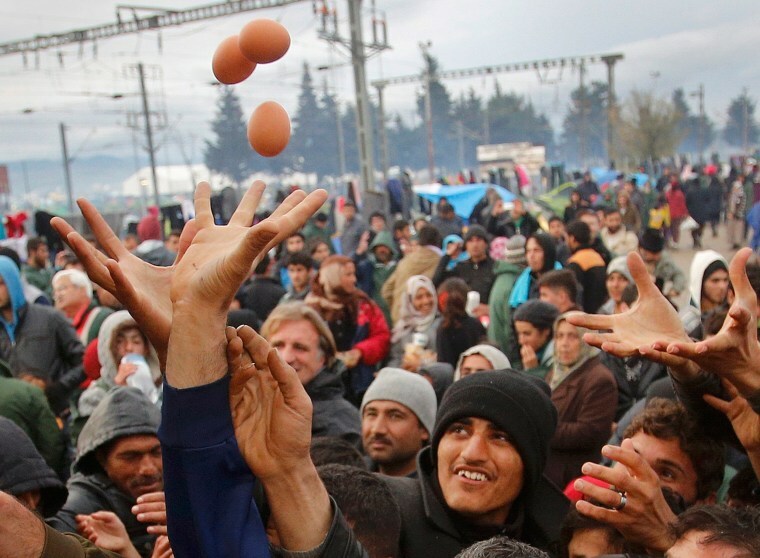 Migrants get excited and try to catch eggs from a truck at a makeshift camp on the Greek-Macedonian border near Idomeni, Greece on March 10, 2016. 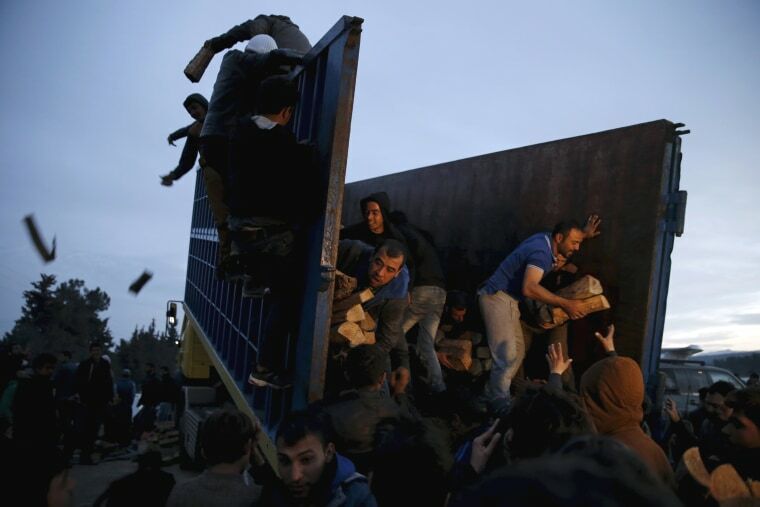 Migrants reach out for supplies from a truck at a makeshift camp on the Greek-Macedonian border near Idomeni, Greece on March 10, 2016. 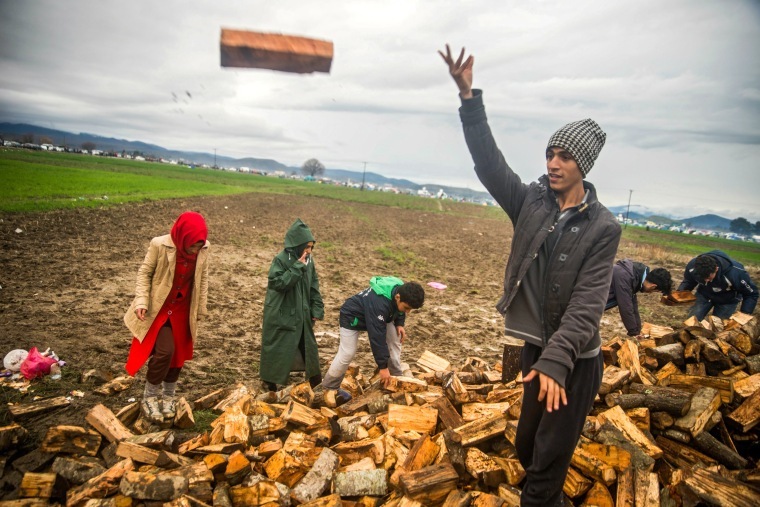 Migrants collect firewood at the Greek-Macedonian border near Idomeni, Greece on March 10, 2016. 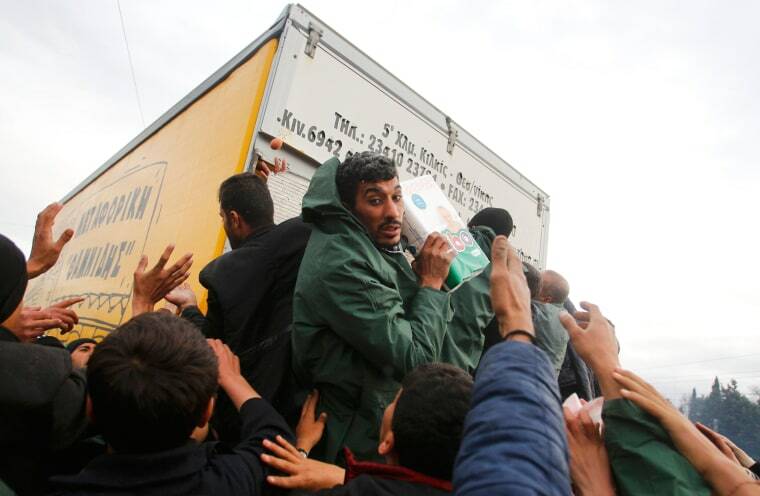 Bad weather, especially the rainfall, worsened the migrants' living conditions. 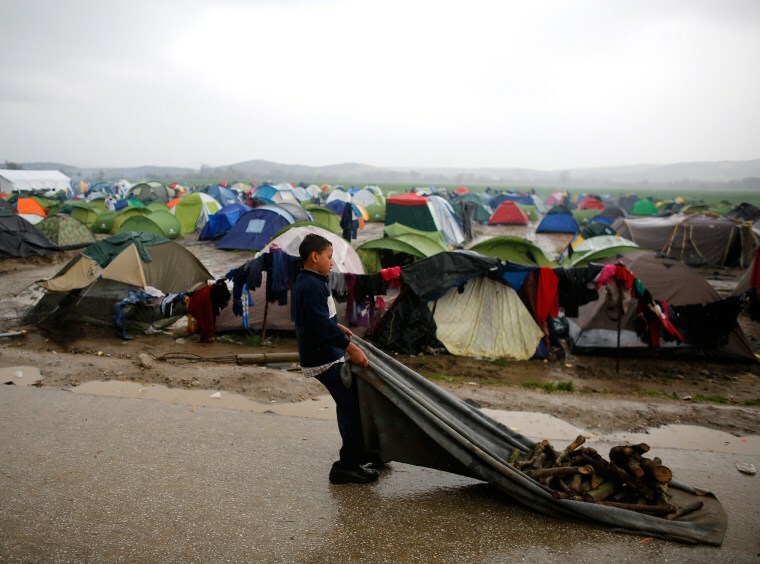 A migrant pushes a cart with firewood back to the tent at the Greek-Macedonian border, near Idomeni, Greece on March 9, 2016. 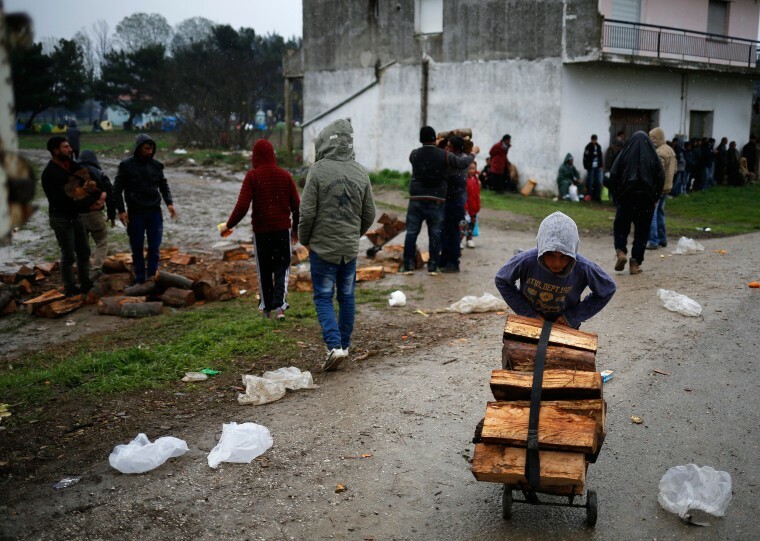 A young migrant boy drags firewood near a makeshift camp on the Greek-Macedonian border near Idomeni, Greece on March 9, 2016. 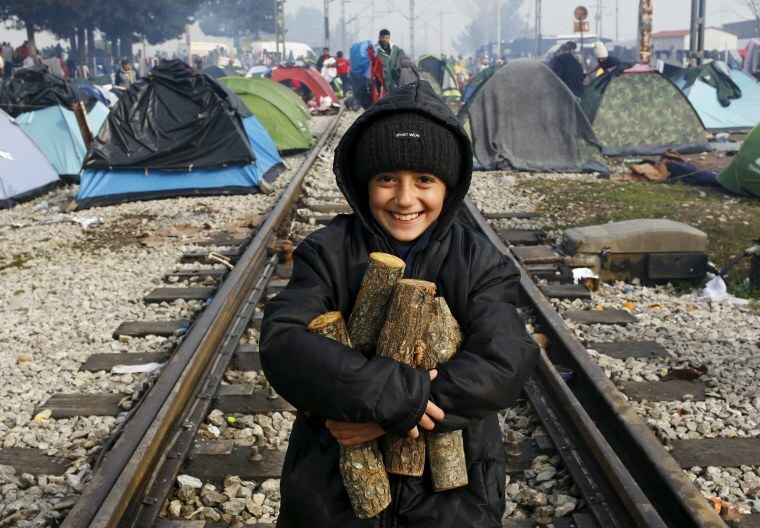 A migrant child, waiting to cross the Greek-Macedonian border, carries firewood along a railway track during a foggy early morning near Idomeni, Greece on March 8, 2016. 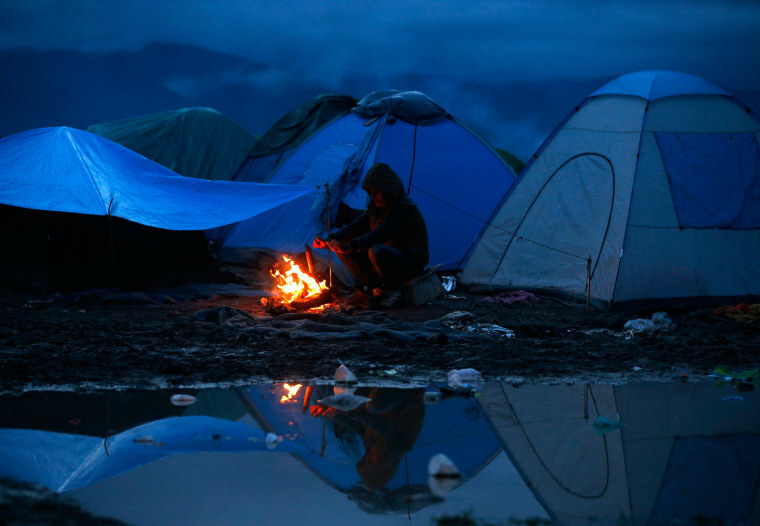 A migrant warms up by a fire at a makeshift camp on the Greek-Macedonian border near Idomeni, Greece on March 10, 2016.